Thought I would post my most popular mani so far!! My blog isn't complete without it! 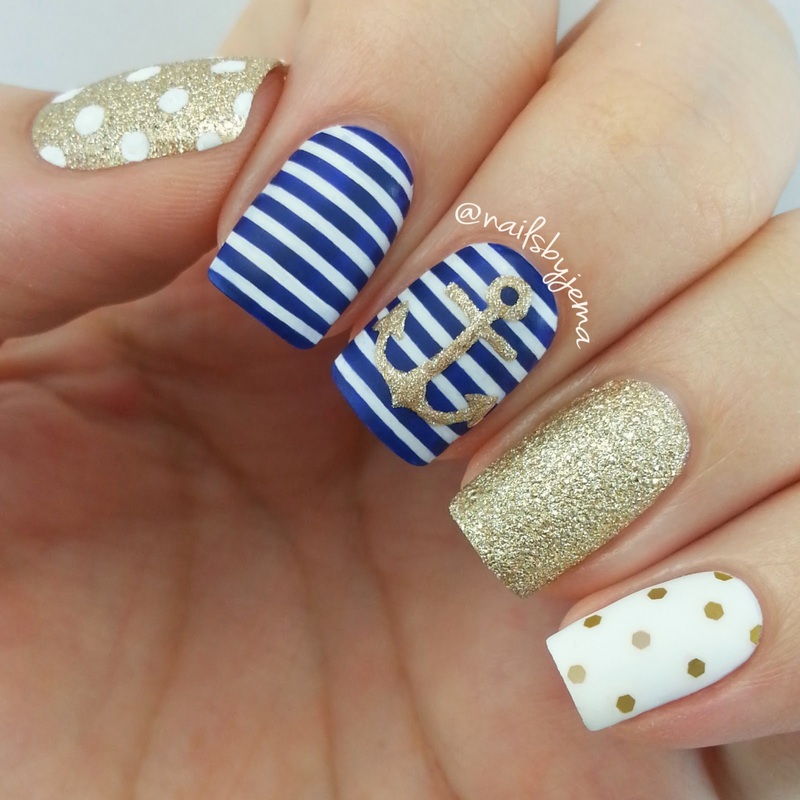 This nautical themed mani was my first ever instagram post to get over 1,000 likes and it currently is at over 2,200!! As a newbie nail artist this was SO exciting for me and got me so many followers! It was all hand painted with nail polishes and brushes (even though many people assumed the anchor was a painted sticker or transfer) and it was actually my first ever attempt at a nautical mani or painting an anchor! It's definitely one of my favourite mani's ever though (it got to stay on my hands for THREE WHOLE DAYS!). I can't wait to recreate it in the future. Did you do a video that you can send a link on "how to?"